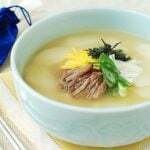 The lunar New Year (Seollal) falls on Friday, January 31 this year. 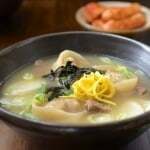 To help you celebrate the New Year, I’ve rounded up traditional New Year dishes. 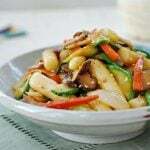 I am also introducing gungjung tteokbokki (stir-fried rice cakes) with slight changes to the recipe. 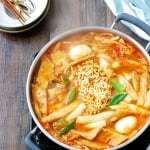 Gungjung tteokbokki (궁중떡볶이) is the traditional version of tteokbokki. Gungjung means “royal court” in Korean, and this version dates back to the Joseon Dynasty (1392-1910). As the name suggests, it was part of the royal cuisine and regarded as a high class dish – an interesting contrast to the modern spicy version which is pretty much street food. 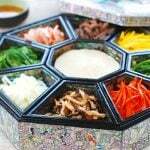 One story behind the origin of this royal dish is that it was inspired by japchae (stir-fried starch noodles with vegetables) and created to help regain the King’s appetite. 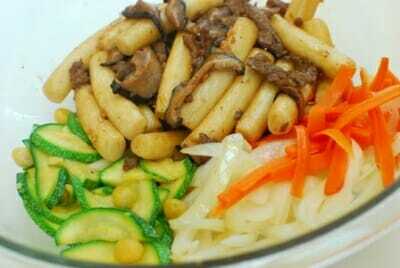 In fact, gungjung tteokbokki is also known as tteokjapchae (떡잡채) perhaps because it is made in a similar fashion to japchae. Unlike today’s spicy version, the traditional version is mildly flavored with a soy sauce based sauce. 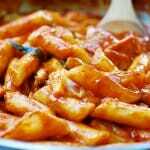 As such, it’s also called ganjang tteokbokki (간장떡볶이). Ganjang means soy sauce. This deliciously colorful dish will be a great addition to your lunar New Year feast! Happy New Year to you and your family, everyone! 새해 복 많이 받으세요! 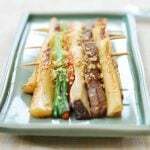 Korean rice cake dish that originated from royal court cuisine! Mildly flavored with a soy sauce based sauce. *You can also use garlic chives and/or colorful bell peppers. Bring water to a boil in a medium size pot. Add the rice cake pieces. Boil until all the pieces float to the top. The time required will vary depending on the condition of rice cakes. 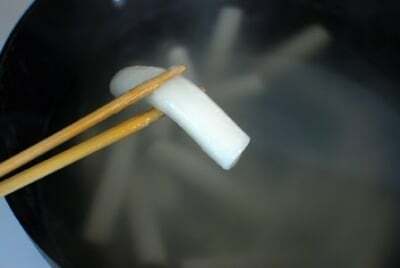 The rice cakes will be very soft when cooked, but they will become harder as they cool. Drain them out with a sieve. Do not rinse. Mix with a tablespoon of soy sauce and 1 teaspoon of sesame oil. Set aside. Mix the sauce ingredients well and set aside. Thinly slice the beef into about 2-inch long strips. Cut stems off the mushrooms and slice into thin strips. 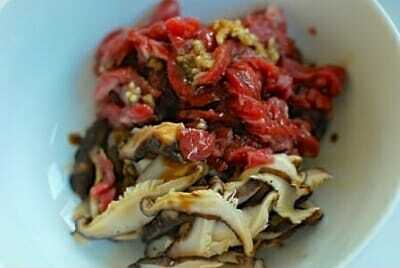 Place the beef and mushrooms in a bowl, and mix in a tablespoon of the prepared sauce. Marinate while preparing the other ingredients. Cut the zucchini in half lengthwise and then thinly slice crosswise and slightly diagonally to make the cuts longer. Generously sprinkle salt over zucchini slices, and set aside for 10 - 15 minutes. Squeeze out excess liquid from the zucchini by hand. 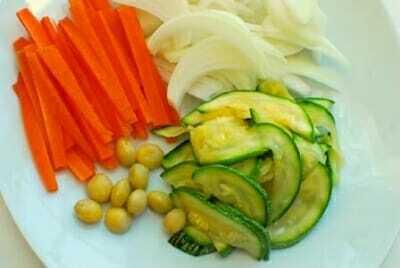 In a lightly heated and oiled skillet, stir fry the onion, carrot, and zucchini over medium high heat, about 2 minutes. Add the scallion at the end (not in the photo). Transfer to a bowl. 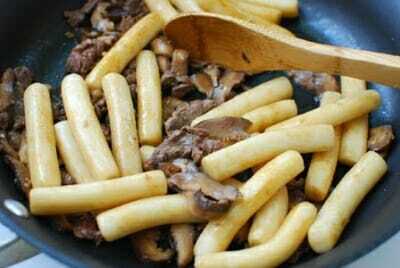 In the same skillet, cook the beef and mushrooms over medium high heat until the meat is cooked through, 1 to 2 minutes. Reduce the heat to medium low. Add the rice cakes and stir fry for another minute or two. Turn the heat off. 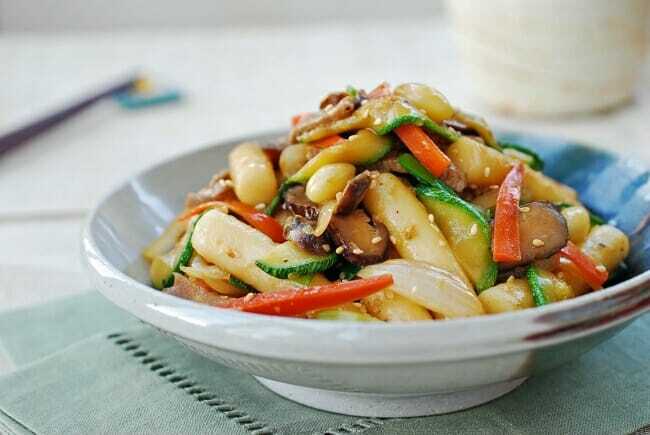 Add the rice cakes to the bowl with the vegetables, along with the optional ginkgo or pine nuts, and the remaining sauce. Toss well to combine everything well. Adjust the seasoning with additional soy sauce or sugar as necessary. Serve warm. hello, I love your website cos its a door way to learn korean food 🙂 , your luna new year feast looks delicious!! Hi Nammi – aww thanks for the nice words! Hope you had great food for your New Year celebration. Happy New Year! Hi Nami – Happy Lunar New Year to you and your family too! Thank you for sharing! Now I am hungry! gungjung tteokbokki is one of my favorite Korean dishes! 새해 복 많이 받으세요! hi angela – Hope you get to make it soon. I love it too. It’s such a comforting dish. Happy New Year! I just need to tell toy that I LOVE your blog. 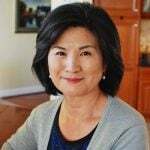 I’m an American living in South Korea and your blog is helpful in my kitchen as well as when were learning about what we’re eating in a restaurant. Thanks for all your hard work. You’re helping us love Korean food!! My great pleasure, Rebecca! I’m so happy to hear I can be helpful with your cooking and eating Korean food in Korea. Hope you’re having lots of great food Korea can offer. Thank you so much for stopping by! Cheers! I especially appreciate the explanation of Gungjung tteokbokki. We often make Korean food at our home in Germany. My all-time favorite dish is Kimchijikae. Thank you for this beautiful recipe! Finally got to make it after trying it in Korea whilst on holiday with my family. Used chicken instead but still taste just as good. Even my Korean friends said it tasted great! Thank you for all your recipes, have tried several and they all taste delicious! Love your recipies. I tried making kimchi jjiage and it was delicious. 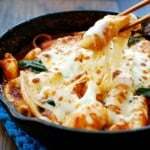 I will definitely try to make tteokbokki next. 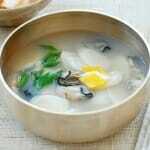 It’s one of my favorite Korean food. I’ve been looking for this recipe for my toddler, thank you!! Do you know if I could make this vegan by using only mushrooms, no beef? I made this tonight after making your spicy tteokbokki last week, and I have to say I much prefer this. Rice cake is an interesting ingredient to cook with, and I can’t say I fully enjoy it. However, I know that when the craving strikes, I’ll make this recipe. It was easy enough to whip up, and I made it vegetarian by omitting the beef and doubling up on the mushrooms. My friends also had some when I made it and said it’s some of the best they’ve had. Thanks so much for a wonderful recipe! If you ever visit Jeonju, you’re welcome to stay with me!